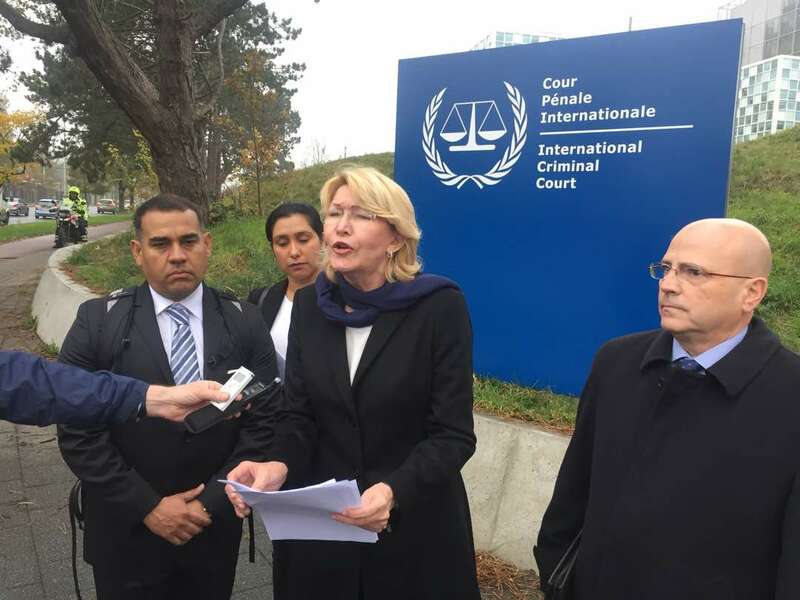 Luisa Ortega Díaz went down in history last 15 November when she went to the International Criminal Court to request the prosecution for “crimes against humanity” of President Nicolás Maduro and four generals, since she became the first Attorney General to file a complaint against high officials of their own country before that instance. However, beyond the headlines, is the step she took well founded? Transparency Venezuela obtained a copy of the 495-pages complaint that the removed-by-the-questioned-National Constituent-Assembly official presented before The Hague (The Netherlands) and she contrasts it with what is established by the Rome Statute. Is there a systematic and widespread attack? 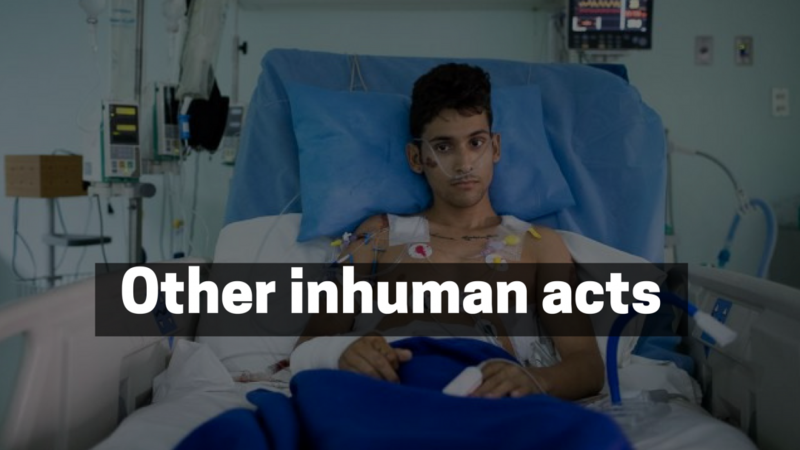 The Rome Statute makes it clear that the two main characteristics of “crimes against humanity” are that they are committed against a group or sector of the population for a specific period. For Ortega Díaz, both circumstances are met in the Venezuelan case and this is what she states at the beginning of her complaint, in which she points out to the Prosecutor and the Justices of the Court that the accused actions are not sporadic. After stating, “there are thousands of murders, illegal detentions, torture and persecution that have taken place” and that “anyone who disagrees with the political power is a potential victim,“ the official reported that the main victims of the accused actions are unarmed civilians. “The plans of repression established by the political power to stifle the civilian population, create a climate of terror, and prevent and annihilate any political response, are samples of a methodical plan of destruction of the most elementary rights, beginning with citizens’ own life, in addition to the freedom, physical integrity, moral integrity and dignity of the people,” she warned. For Ortega Díaz, President Nicolás Maduro and the Ministers of Defense and Interior, Generals Vladimir Padrino López and Néstor Reverol Torres, respectively, the director of SEBIN (Bolivarian National Intelligence Service), General Gustavo González López, and the former commander of the National Guard, Antonio Benavides, have committed at least five of the eleven types of crimes against humanity included in Article 7 of the Rome Statute. “In the case of Venezuela, the attacks against the civilian population are planned, authorized, allowed and carried out from the state’s highest level, and from the power structures, especially the security forces, the Bolivarian National Armed Force and the SEBIN,” she said in her complaint. In her complaint, Luisa Ortega Díaz accused the five officials of committing this crime against humanity against their political dissidents. “In Venezuela, a state of terror has been consolidated, whose sole objective is the maintenance of power by those who currently hold it,” she explained to the Prosecutor and the Justices of the Court, although she clarified that not only opponents are victims, but also low-income people through the OLP. To support her statement, the Venezuelan official presented to the Prosecutor and the Court, 7 of the 131 murders committed during the government repression of the demonstrations that shook the country between April and June 2017, due to the Supreme Tribunal of Justice (TSJ) rulings issued against the National Assembly and with which it practically abolished it. The case of university student Juan Pablo Pernalete, who died on 26 April as a result of the impact of a tear gas canister thrown by a National Guard officer while participating in a protest in the vicinity of the Altamira quarter, and the musician Armando Cañizales, who died by the impact of some modified pellets fired by a presumed policeman when he was demonstrating on 3 May in Las Mercedes quarter, Caracas, are some of the cases that the official presented at The Hague. Ortega Díaz not only explained what happened with the seven cases, but also annexed part of the investigations that her office conducted while she was in charge and that prove the deaths were responsibility of police or military agents. 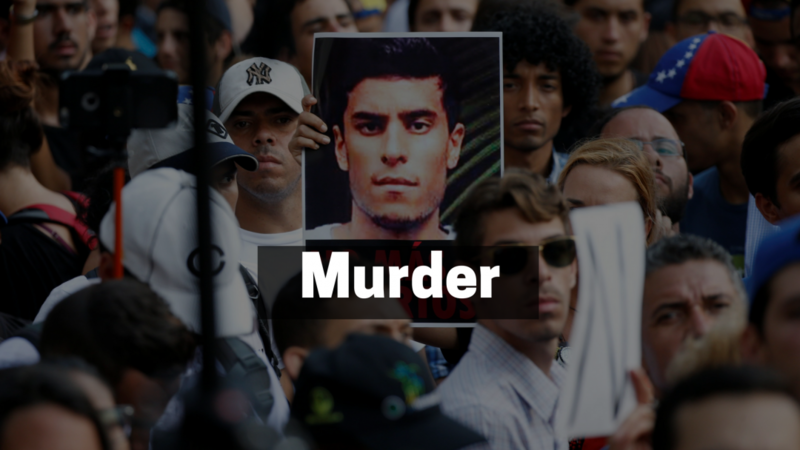 Although the complaint did not expressly state that this crime had occurred in Venezuela, throughout the letter, Ortega Díaz made it clear that it could have been committed through the OLP and the security forces irregular action. In the letter, Ortega Díaz blamed the OLP on Generals González López, Néstor Reverol and Benavides Torres (the first as designer, the second as continuator and the third as executor) and President Nicolás Maduro for having given his approval and for not having addressed the observations that her office made in relation to violations of human rights such as life, personal integrity, freedom and inviolability of the home. The Attorney General removed by the National Constituent Assembly (ANC by its acronym in Spanish) presented to the Court the list of 505 people executed by police and military within the framework of this initiative, which she labeled as a “mechanism of terror” and “extermination” of the poor. 99% of the victims registered by the Office of the Attorney General were men, 95% of them were between 18 and 30 years old and 100% resided in popular or poor sectors. “The actions of the officials and the President of the Republic’s official speech and his ministers, issued clearly authoritarian messages, according to which the state is handled without any limits and consequences,” said the official, adding: “According to these messages, the government can dispose of the life and freedom of the people without any subsequent responsibility, and without any legal or institutional control. With the consolidation of this plan, the violation of human rights and political persecution became widespread. The police and military officials acted against the civilian population without any fear of suffering the consequences of their actions, because the instructions of their superiors clearly hid them under a blanket of impunity. Ortega Diaz attributed to this initiative the rise in the number of homicides committed in the last two years, particularly the number of extrajudicial killings, which went from 1,777 in 2015 to 4,667 people in 2016, which represents 20% of the country’s official homicides figure in the year, according to the numbers of the Office of the Attorney General. 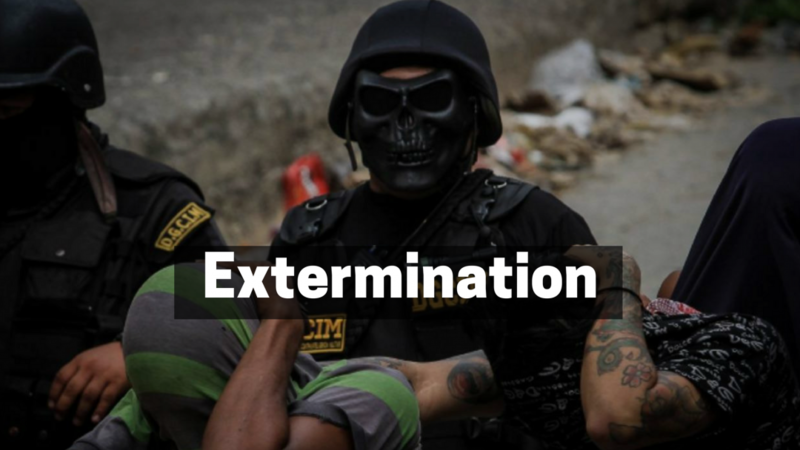 “To say that at least 20% of homicides are committed by police forces at the service of the state, is a scandalous statistic, and shows that as we say, there is an official policy of systematic killings of people, which are ordered and executed from the exercise of the Public Power in Venezuela,” she concluded. The Attorney General assured the Court that Venezuelans, particularly those who disagree with the government, are not guaranteed their freedom and can be detained from one moment to another without a court order or with false evidence. “Thousands of people have been arbitrarily detained, violating the fundamental norms of international law, and all that organized, directed and promoted from the political power, as part of a widespread and systematic attack against the citizenry,” said the official, who cited the figures of the Venezuelan Education-Action Program on Human Rights (PROVEA by its acronym in Spanish), which has registered that between 2015 and 2016, almost 23 thousand people were apprehended without reason. Ortega Diaz said her office registered a pattern, according to which SEBIN agents arrested people and claimed to have seized “explosives, detonators or cash.” Apprehension that was later endorsed by the judge, despite the prosecutors objections. At this point, the official informed the Court that the intelligence service “has become in a kind of parallel State, which has violated the rights of all its inhabitants and acts outside the law with impunity” and as proof of this, she mentioned that 22 people remain in their dungeons, despite the fact that judges have ordered their release. In the same way, she stated that this would not have been possible without the control exercised by the government over the Judiciary, which was strengthened after the irregular process of appointment of Justices of the Supreme Tribunal by the former National Assembly, still dominated by the Chavismo in December 2015. 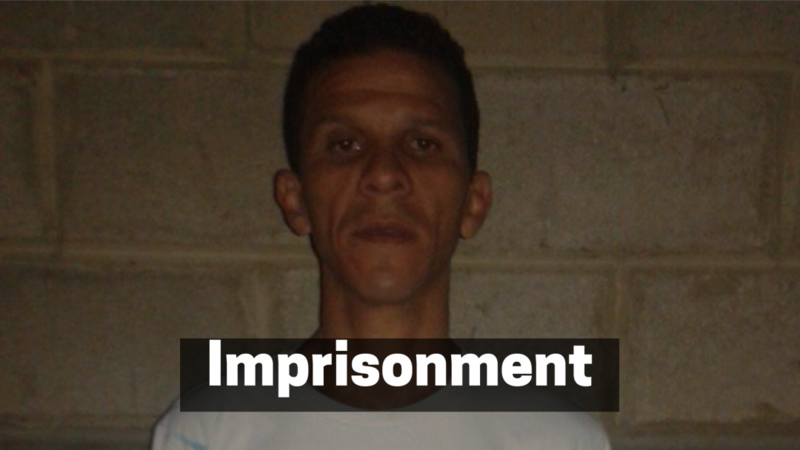 Although the Constitution expressly forbids it, torture has been a common practice in Venezuelan police forces. However, the Attorney General, in her complaint to The Hague, described it as a “daily element”, especially in organizations such as the SEBIN. 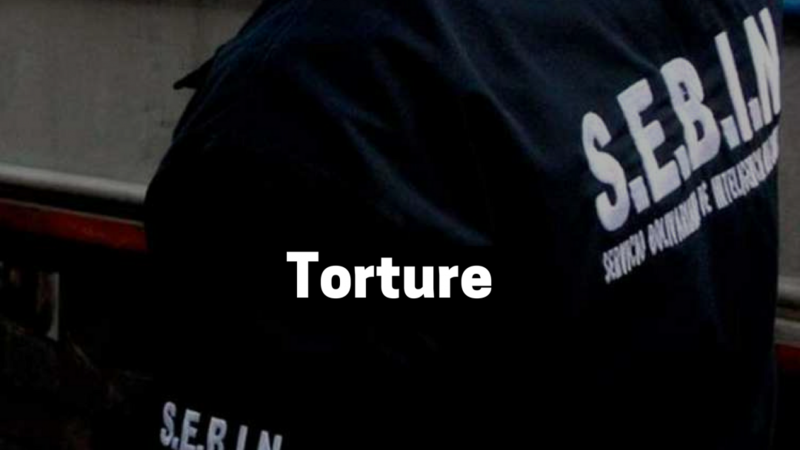 “The detainees are subjected to all kinds of abhorrent practices, inflicting severe pain or physical or mental suffering. All this as part of a widespread and systematic attack against the civilian population from the structures of political power,” she said. Although she denounced that her subordinates were prevented from entering the detention centers to verify the condition of those arrested, she came to have information that the treatment they received was not the proper one. Therefore, in the complaint she presented five cases of which she had knowledge, some of which date from 2014. One of the cases that she took to the International Criminal Court was Evaluz Suárez Villarroel’s, who was detained by agents of the National Guard on 16 May 2017 in Sucre state. The aforementioned agents brought Suárez to a truck where they sprayed her with tear gas and beat her with their helmets, as well as other detainees, while threatening and insulting her. The girl presented burns of first and second degree, according to the examinations done by the Office of the Attorney General. Ortega Díaz accused the authorities of causing pain and suffering to those citizens who oppose the government. To prove her point, the head of the Office of the Attorney General in exile presented two cases to the Criminal Court. One of them is the student Pedro Yamine, who on 3 May was run over by a tank of the National Guard while protesting against the government near Plaza Altamira. The image of the young man, who managed to recover after several surgeries, found its way around the globe. This case served the official to accuse the government and the security forces of using anti-riot gear to cause maximum pain to the demonstrators and not to disperse them, as established by international standards. 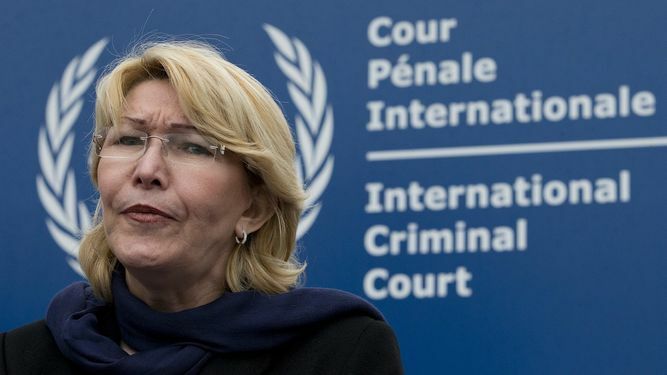 What happened with Yamine also allowed Ortega Diaz to justify her decision to go before the court based in The Hague (The Netherlands), because the possibilities of doing justice are null, because not only she was removed from office, but also because of the control that the government has upon the tribunals. The dominance was demonstrated with the decision of the 14 Tribunal of Control of Caracas to refuse to order the arrest of the National Guard sergeant, Daniel Perez Medina, who was driving the tank that ran over Yamine, alleging that his rights were being violated. Dissent in Venezuela is a risk and so the Attorney General made it clear to her counterpart and the Justices of the Criminal Court, because throughout her complaint against Maduro and four generals, she accused them of persecuting and massively repressing those who oppose them. To support her statement, the official gave as an example the assaults that took place on 2 May, 28 June, 5 and 20 July 2017, in Los Verdes residential complex, in El Paraíso quarter of Caracas, by hundreds of members of the National Police, the National Guard and the SEBIN. During these assaults, not only raids without warrant were executed, but the same agents also destroyed common areas of the apartment buildings such as elevators, bars, security cameras and even attacked residents’ vehicles, all because they gave shelter or participated in the anti-government demonstrations. “The imposition of terror by the security forces distinguished these operations, to such an extent that they have not been able yet to measure the psychological consequences that have left in those who suffered them. The Office of the Attorney General was able to show that these people suffered all kinds of physical and psychological abuse, damage to their property, robbery and harassment, all within their own homes,” she said. Another example of persecution that the official set out was her own case, because before being removed by the questioned Constituent Assembly on 5 August and her office being assaulted by military forces, the TSJ stripped her of some faculties, blocked some investigations that she led and put her on a pre-trial. As if that were not enough, some of her closest collaborators, such as prosecutor Pedro Lupera, who was leading Odebrecht’s corruption investigations, and her husband, Member of Parliament Germán Ferrer, were accused by the ruling party Member of Parliament Diosdado Cabello of being part of a network who was in charge of extorting people under investigation. “The investigative activity deployed by the Office of the Attorney General led to a strategy aimed at dismantling the institution,” she said, after reporting that some directors of the agency, such as Zair Mundaray, Director of Procedural Action, had his passport canceled to prevent him from leaving the country.